Awhile back, I was shopping with a friend at Nordstrom. We were in the shoe department when she pulled me over to introduce me to a friend. This “friend” was one of the shoe salesmen and she actually introduced both of us to each other as her friends (as in “Debbie, this is my friend so-and-so” and “So-and-so, this is my friend Debbie”). At first I wondered if she had a friend who just happened to work in the Nordstrom shoe department, but it soon became clear to me that she only knew him from their interactions while she was shopping for shoes. She shopped so often that she had started to consider the salespeople her friends. Lest you think I’m being overly judgmental toward my fellow shopaholic friend, I have a confession to make. I have also come to view salespeople at various department stores, shops, and boutiques as my friends. I’m not sure if I ever introduced them to others as my “friend so-and-so,” but I did consider them friends in my mind and, more importantly, my heart. Do you view store salespeople as your personal friends? But now that I’ve taken a few steps back from my all-consuming “shopaholism,” I’ve come to see things differently. In today’s post, I share my insights on another reason why many of us shop too much, for connection with others. Personal growth guru Anthony Robbins outlined six basic needs for all human beings in order to survive and thrive in the world. One of these core needs is connection. Connection is defined as a strong feeling of closeness or union with someone or something. Regardless of whether a person is an introvert or an extrovert, we all need to feel connected to other people. Ideally, we will feel close to our significant others and family members and we’ll also have a close-knit community of personal friends. But for one reason or another, not everyone has this ideal situation. Many of us lack deep and meaningful relationships with people in our lives, but that doesn’t stop us from wanting to feel connected to others. 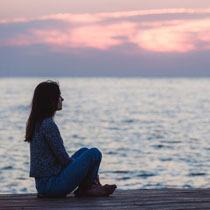 As I wrote about in “The Reasons We Shop Too Much,” many people who overshop struggle with loneliness and a lack of personal connection in their lives. I am one of these people. If you’ve been reading this blog for any length of time, you probably know that I’m not close to most of my family and I have very few close personal friendships. Although I’m extremely fortunate to have a wonderful husband and a happy marriage, one person cannot fulfill all of the needs of his or her spouse. We all need multiple people with whom we can share both experiences and confidences. I often shopped as a way to be around other people and I frequently engaged in lively conversation with fellow shoppers and sales associates. Many of the sales associates were so friendly that I started to consider them my actual friends. After all, they were always happy to see me, they remembered details of my life, they asked me personal questions, and they seemed interested in what I had to say in response. These interactions felt like a real friendship, so it makes sense that I would begin to consider these sales associates my real-life friends. I’m not saying that sales associates can’t actually like their customers and enjoy talking to them. Sure they can… But there are a few key differences between our relationships with salespeople and our real friendships. For one, our friends aren’t being paid to spend time with us. When we get together with a friend, it usually happens when we both have free time and we’ve agreed to spend time with each other. With a salesperson, she is on the clock and is in the midst of doing her job during our interactions. In a good friendship, the relationship is equitable. For the most part, the only things the two parties want from each other are companionship and support. In contrast, a salesperson is trying to sell us something in order to earn a commission, or in the case of a store owner, in order to pay the bills. He or she has a vested interest in our buying something and is usually disappointed when we leave empty-handed. When we’re conversing with our salespeople “friends,” we often feel a subtle (or sometimes not so subtle) pressure to buy something. In essence, we’re buying our salesperson “friend’s” time and attention, although he or she may not consciously feel that way. They may not have any sinister intent toward us, but they are doing a job and trying to earn a living and we are the focus of that effort. If they talk to us for a long period of time and we don’t buy anything, they may have missed out on helping another customer to whom a sale might have been made. Retailers have caught on to the basic human need we all have for connection and they have started to train their sales associates accordingly. Many stores now have personal shoppers and “friends and family” programs which capitalize on “salesperson as friend” concept. The retail powers-that-be know that if they can build our emotional attachment to store employees, we will buy more and keep coming back. It’s in the best interest of retailers for shoppers to see sales associates as trusted friends and confidants, but it’s not in our best interests! For those of us who overshop, seeing salespeople as friends is like Kryptonite to Superman. It weakens our resolve and leads us to buy far more than we want or need. I don’t know about you, but I know I’ve left many a store with items that weren’t on my list and that I didn’t love – or even really like – simply because I didn’t want to disappoint the salesperson. If you’re like me and you want to shop less and only buy items that you need and love, you need to stop viewing and treating salespeople like your friends. Befriending salespeople will only get you into trouble and feed your overshopping problem. If you want to shop smarter and honor your own needs and limits, a different approach is in order. I’m not suggesting you start being rude and aloof to salespeople. A complete 180 turnaround is not necessary and I would never advocate being impolite to anyone in a service role. For those of us who have had such jobs, we know they are not easy. Anyone who deals with the public is worthy of our kindness and respect. I don’t know if I’d have the patience to do such jobs at my age, but I remember what it was like to be treated badly by customers, so I always endeavor to be polite and appreciative when dealing with service professionals. Shop With a List – When you shop, know what you are shopping for. Having a plan, as well as a shopping budget, will help you to resist sales pressure. Express Your Needs – If a salesperson approaches you and you don’t need help, let her know. It’s perfectly fine to say you’re just browsing. Thank her and tell her you’ll ask for help if you need it. Smile and be polite, but also be firm. Don’t Be Too “Chatty” – Don’t engage in too much conversation with the sales associate. Keep the conversation professional and to the task at hand. If you get too “chummy” with the person who’s helping you, you might feel more pressured to buy. Be Open and Honest – If you’re shopping for one specific thing and only that thing, let the salesperson know. If he or she brings you other items, politely decline to consider them. Offering multiple options is something that salespeople do, but you don’t have to try something on simply because it was brought to you. Don’t Accept Too Much Help – If you know you’re not going to buy much, don’t take too much of the salesperson’s time. For one, you don’t want to buy things you don’t need out of guilt. Also, you want to allow him or her to help other customers who may end up buying more from them. Leaving Empty-Handed is Okay! – If you don’t find what you need, or if you don’t love the options on hand, thank the salesperson for his or her time and leave the store. You’re under no obligation to buy anything, even if the salesperson gave you a lot of time and attention. While we should be respectful of their time, sometimes we truly want to buy and it doesn’t work out. That’s perfectly fine and okay! I hope you find my tips helpful. I’m sure you have more tips for dealing with salespeople and I’d love for you to share them. I also welcome your insights on the concept of salespeople as friends and how that has affected you in terms of your shopping behavior. I’d also love to hear the other side of the story from those of you who currently work in retail or have done so in the past. Before I close, I want to say one other thing. In addition to changing our views toward and relationship with salespeople, those of us who shop for connection need to find alternate ways of fulfilling that need. I know from personal experience that this is easier said than done, but the first step is understanding that we have a genuine need we’d like to have fulfilled. The next step is to look for ways to fill that need besides shopping. We may want to reconnect with some of the people in our lives or we may prefer to forge new relationships. It takes time to build deep friendships, but we can start by finding new hobbies and interests. Often friendships grow out of shared activities, so that’s a place to start. Taking a class, doing volunteer work, visiting a place of worship, or engaging in athletic activities are all ways of meeting new people. For introverts like me, putting ourselves out there isn’t easy, but if we don’t do it, we’ll continue to feel lonely and disconnected. We need to take the plunge even if we feel anxious and uncomfortable, as there is no growth without risk. I will be exploring the issue of hobbies and interests in a future post and I’m sure I’ll write more about relationships and friendships soon as well. For now, however, I vow to stop viewing salespeople as my friends and looking for connection through shopping. That’s a powerful first step and good foundation on which to build. Although salespeople are not our friends, we are worthy of friendship, connection, and love. We just need to find these things in the right places! This is one thing that I can’t say that I do. Since I worked with the public or in sales for nearly all of my jobs I am always polite, but shopping is something that I prefer to do alone. I actually get annoyed if people try too hard to sell me something or if they follow me around telling me about sales. You know when you put one hand on a sweater and they’re right by your side telling you if you buy three you’ll save $20? I never thought about why before, but I think it’s because when I shopped I liked to get into “the zone” and be in my happy place. I guess it’s a blessing that I am that way because I can see how hard it would be not to feel obligated to buy something if I felt close to the salespeople. These days, I’m with you, Tonya! The more I’m aiming to shop mindfully and to only buy what I truly need and love, the more I want to shop on my own, without friends or salespeople. Amen! Very well said, Debbie! This article really addresses one of the reasons why I have an issue with over shopping. Sometimes, it’s an escape, but when I am bored and lonely, I head right to Nordstrom where the customer service is off the charts. I really appreciated the suggestions you provided to curb this bad, costly habit. I’m glad you found my suggestions useful, Betsy! Nordstrom has long been one of my favorite stores, too, both for the merchandise and for the excellent customer service. I will still shop there, but now I’m much more mindful of how I interact with salespeople! You’re right, Dottie. If we overshop, it’s our responsibility. I know I realize that and I think most (if not all) of my other readers understand that as well. Although the social interaction from shopping can feel nice, we do need to remember that salespeople are doing a job and part of their job is to be friendly and helpful. We need to find other ways of meeting our social needs. Great post! I find I do this too. It was especially bad when I was a stay at home mom. It is really important to shop with a very specific idea of what I want now. I found that I have to tell the salespeople upfront what I am looking for and that I am going to be very picky. When they show me options that are close to what I want, they get very frustrated by my rejection of the item. I hate disappointing people so I feel guilty for making them upset. This post and the post on wanting less and buying more have really resonated with me. Thank you! Oh Debbie, I just have to share this story. When my son was a toddler, I was building a carter wardrobe and I often shopped at one particular department store. At that time I was using Clinique products and I befriended a beautiful woman who was a salesperson for the line. She had great style and I would often solicit her advice on outfits. Because we both had hectic lives, our friendship by necessity was mostly carried ou within the store, but as time went on we did a few things together outside of work. A short time after we got to know each other a little outside if the store venue, she left her husband for another man. Within a few weeks this new affair list it’s luster and she asked if she could stay at my house for a short time until she got her bearings. I was happy to help her as I had a spare room, and even assisted in the move. She only lived at my house for 24 hours. Her first night there she attempted to commit suicide by taking an overdose of pills. I had to call an ambulance to take her to ER, much of this activity taking place within earshot of my young child who was terrified at the flashing lights and rushing around of uniformed men in our house. I came to realize this woman was not my friend in a very hard way. She was an unstable and charming person who knew how to sell both products and herself. In me, she was cultivating a place to go and I didn’t realize it. The next day after her suicide attempt, her husband came to get her things. It was a very rattling experience. I would never consider a sales person a personal friend unless we had cultivated a mutual friendship outside the retail venue, in which we knew of each other’s lives and families as real friends do. Thank you for sharing this story, Deby, especially since it brings up what must have been a very difficult time for you. It seems like you learned a very hard lesson. I hope others will learn from what you shared, as I know it probably wasn’t easy for you to dredge this up and reveal it to all of us. I appreciate your openness and honesty. After reading this, I realize that I have much to be thankful for in that I, like Tonya, prefer to shop in peace. I need time to think and ponder about my potential purchases. I do recognize how hard sales associates work and am always grateful for their assistance in setting up a dressing room for me or checking for additional sizes in the back when I ask, but I do not like being followed around the store and/or continuously pressured to look at or try on various items. Occasionally, a good friend of mine and I will go shopping together, but we know each others tastes so well that we usually do not influence each other to take home things we don’t need or want. You bring up a good point, Grasshopper. There’s a big difference between being helpful and following someone around and pressuring them. Sometimes I actually leave a store if a salesperson starts hovering around me as a walk around. I don’t need or want such pressure! Like Tonya I don’t like being followed around by sales staff. I like to be left alone until I need their help. I particularly hate sales staff who don’t have a critical eye or a good sense of proportion, colour etc and who just tell people how great everything looks on them. That said, I don’t like shopping in large department stores either as I find them too overwhelming. I prefer small boutiques where I get to know the sales staff and they get to know me and what I like. I do like chatting to them and I do like the experience of them knowing me as a customer. Although I would never think of them as friends I like to shop in stores that give individual and personal attention based on what my style and preferences are. I also prefer to shop in peace. Like others said, I need time to think and ponder about my potential purchases, and I will actually avoid stores where the sales people pay too much attention to me. I work hard to be left alone when I shop. I’m polite but stand offish. Yet last summer I had one experience in Nordstrom that is exactly as you describe. I got into a conversation with a sales clerk about glasses frames, we chatted a bit too much and I did buy a blouse that I was not positive I wanted. Admittedly I felt pressured in some odd way that I have never before felt. Thank you for this post. Good reminder not to get too chatty again. As an aside, I also turn off my cell phone at Nordstrom because I don’t want to be tracked! Thanks for your comments, Carolyn and Terra. I have had many experiences with “yes women” salespeople. I KNOW that not everything I try on looks great on me, so I don’t trust when salespeople rave about all of it. I like small boutiques, too, but find it harder not to buy in such places. I guess I need to learn to be polite but standoffish like Terra is. I’m curious about what you wrote about being tracked at Nordstrom, Terra. Please elaborate… I may have to start turning off my cell phone there, too! I have heard that Nordstrom tracks customers on their cells phones in oder to learn more about their shopping habits. To see what departments they frequent and how often they come into the store. I have no proof but it is what I’ve been told. For the longest time I didn’t pay any attention to it – and remember I used to go to Nordstrom at least once a week either on my lunch break of after work . It was nearby, and all of my co-workers shopped at Nordstrom. It was our hobby and we sport-shopped, hunted the sales. I didn’t always buy, but I always shopped. Then I began to notice that the sales clerks seemed to know about the departments I had been to, they seemed to know a bit more about me than I wanted them to know. Sometimes they asked me questions about thing that I wondered how they “Knew.” It was startling because I almost never engage in conversation with them in order to have my own private shopping time. So I began turning off my cell phone whenever I need to go to Nordstrom, and interestingly enough all of the attention stopped. Now I am barely noticed and it feels wonderful. Not sure if there really is a connection, but I don’t want to take any chances. Thanks for elaborating, Terra. I had no idea this kind of thing was going on! It’s definitely a case of “Big Brother” watching over us. I think I will err on the safe side and turn off my cell phone at Nordstrom. I don’t need the extra attention. I now want to fly under the radar when I shop so I can take my time and make better decisions. I avoid stores, not for the reasons cited, but to conserve limited energy so I don’t have the sales associate as friend problem. I shop exclusively online, but I still overshop. Online perusing is pleasant and serves to distract/procrastinate from paperwork I don’t want to do because it is more boring than shopping. Many times I fill carts but resist buying because I can tell myself I don’t “need” anything in the cart. Other times, trying to fulfill a perceived, but not true need, I overbuy so that I can try on, choose and return. My UPS guy says I am his biggest noncommercial customer. I had tried to go on a clothing fast, then I signed up for a trip and felt a perceived need to be prepared for this trip that involved my not checking any luggage. I AM DONE!! I am ashamed at all the cartons that need to be returned because the items therein didn’t “work.” I feel like a hoarder. Your comment illustrates that there are as many difficulties with online shopping as with shopping in stores, Sandra. There are “gotchas” no matter how we shop, but you seem to be making progress in shopping less. I understand feeling like a hoarder, as I’ve been there. 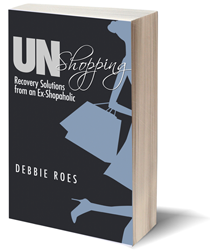 I think that understanding the underlying needs you’re trying to fulfill through shopping – and finding alternate ways of meeting those needs – will help you get to a better place. I got so involved in telling my story previously that I forgot to mention that I agree with those of you who like to be left alone to shop in peace, unless you have a specific need for assistance. Because I tend to shop in larger retail stores rather than small boutiques, unless I see a salesperson whose personal style I admire, I do not solicit their opinion on matters of taste. When I shop, much of the time I have researched an item online first and know exactly where to go to look at it. Sometimes I will call the store in advance to make sure its in stock so as not to waste a trip. I bundle my trips together as much as possible when I go to the stores. While I used to shop for sport in the stores, now I have a different hunting approach. The introduction of cheap beaded/spangled/embroidered/embellished clothing has pretty much killed my enjoyment of shopping as a sport. Now I look at new collections online first and determine what, if anything, attracts my attention. I look for consistencies in style and color from store to store–and its much easier to compare these things online than schlepping through a mall. I will make a list of what I am interested in, so when I get to the store I don’t waste a lot of time searching for what I want. Its also easier to make a decision when you have a mental picture of what you want. Because things look different online than they look and feel in person, you may not choose to purchase ultimately what is on your list, but you know what you want, and here’s where a good salesperson can be most helpful–to find you alternatives that fulfill what you are looking for. Me too. I do the same thing, exactly as you do. And I agree, all of the beaded/spangled/embroidered/embellished clothing – did a great job of curing my urge to shop for sport, long ago. 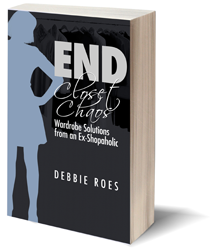 Thanks for sharing your shopping strategies, Deby. It’s a great idea to research specific needs online first and to call ahead to make sure what you’re looking for is in stock. I agree with both you and Terra about the beaded/spangled/embroidered/embellishment overload! That’s part of what I was lamenting in my “beefs with the fashion industry” post. I’m not totally cured of “shopping for sport,” but I’m well on my way! Yes, it must be hard to see your mother in such difficult situations, frugalscholar. We can try to help others, but usually they have to learn things themselves – the hard way. Hopefully, your mother will get to the place soon where she wants to recover. It’s not easy, but it can be done! Wow. I completely, embarrassingly, identify with this post. And…I don’t think I ever realized it before. Thank you so much for calling my attention to this new-to-me idea! For many years, I shopped at a small boutique. I loved being able to buy the highest quality pieces they offered — I felt a kinship with the saleswomen (my “friends”) in that I recognized the value of the best pieces they had to offer and was able to validate their store selections with my hard-earned cash. So, time went by and I lost some weight. My “friends” praised my weight loss and offered me brand-new clothes to enhance my new look. They loved me! Eventually, I gained the weight back and was too humiliated to shop at the same store where my “friends” worked, b/c they would feel ashamed of me and talk about me behind my back and wonder how I’d gotten so fat. Never mind that their clothing might not even fit me any longer! They hated me! Then, I worked hard to lose the weight, got back to my former size, and hurray, could once again visit my “friends,” buy their wares, and bask in their undivided attention/”friendship.” They loved me again! I am ashamed to have been so shallow and so unthinking in my actions. But, I’m proud to say I’ve awoken, thanks in part to you, Debbie. I realize I used shopping to fill the huge void left in my heart from my crappy family members and my poor choices in female friends and male companions. Live and learn. I believe I’m on the road to recovery and appreciate reading your and others’ stories. Thanks so much for sharing your story, Bette. Try not to feel too bad about yourself, as many of us have been in your shoes. I, too, used shopping to fill voids left by poor family relations, bad relationships, and a lack of close friends. I’m sure many of the salespeople actually did like us, even if they weren’t really our friends. I’m glad you found this post helpful, as well as the comments from others. I love reading all of the comments and stories, too! Great points, Emma! There ARE some very big differences in the way men and women shop and I look forward to reading your post on this topic. I will share the link with my readers once it’s up. I definitely see that my husband shops much different from the way I do, but I’m starting to shop more like a man these days, as I make better decisions and fewer mistakes that way. I don’t know if I’ll ever greet a salesperson with the name of the item I want, though. Somehow that’s just wr0ng! Someone with whom you interact ONLY at his/her place of employment in probably an acquaintance, not a friend. Wow, I never knew anything about this phenomenon! I prefer to shop in peace and guess I’ve mainly stuck to stores where it’s rare to be approached. As with most kinds of commerce, I imagine salesfolk can run the spectrum of genuinely compassionate, caring individuals to more unscrupulous types who will do whatever it takes for a sale. Once again Debbie, you are brave and kind to put this out there. Seems like a vulnerable and painful thing to write about, and hopefully will help others dealing with guilt, shame, loneliness and other painful feelings surrounding these issues. Thanks for your comment, Claire. Yes, it is painful to write about or even acknowledge some of my topics, but I’m very happy that my sharing is benefiting others. I’ve gotten to the point where I also prefer to shop in peace. In fact, I was just telling my husband last night that I may stop shopping at Nordstrom (or at least shop there much less often). I have always loved their customer service, but it does make it harder for me not to buy so much! One sign I had early on that I had a shopping problem, was when I realized that sales people were remembering me! I was there often enough that they were greeting me by name and showing me the latest items. While I did like that level of customer service, I was also embarrassed that I was in the stores so often. I had the same experience, Lisa! I went back to Nordstrom after a fairly long absence last week. I was greeted by several salespeople who asked me where I’ve been… I find that I’m not liking the heavy duty customer service anymore because I don’t like feeling pressured to buy or guilty if I don’t buy. I still love Nordstrom, but wish I could be left alone a bit more to shop independently. I can always be left alone in Macy’s, but that store (at least the one where I live) is SO cluttered that I get totally overwhelmed there.